AMAZING EDGEMOOR-AREA HOME! 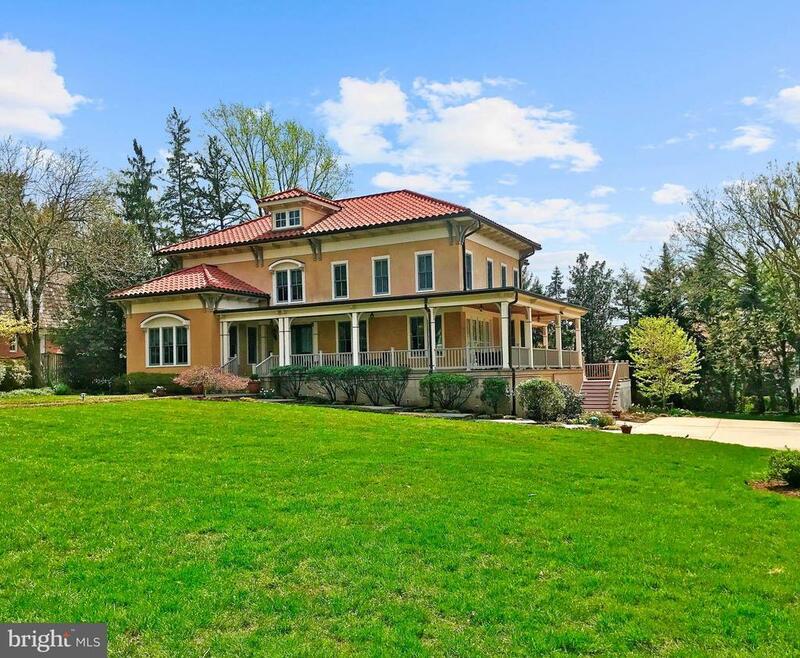 7116 Fairfax Road is a stunning home blocks from downtown Bethesda. Built in 1915 but completely expanded and redesigned in 2001, this home combines the best of old world charm and modern comfort. This home is locally renowned for its 2001 transformation, which earned the 2001 Contractor of the Year Award from the National Association of Remodeling Industry and the 2003 Potomac Valley American Institute of Architects Award. The interior features 5, 359 square feet on three levels, and: ~The Main Level includes a grand foyer, a formal living room and a dining room ideal for large-scale entertaining, a kitchen with peninsula and breakfast room, a sunny family room with high ceilings and wood burning fireplace, an office (seventh bedroom possibility) and a full bath, as well as a picturesque wrap around porch and an expansive deck overlooking the beautiful yard. ~The Upper Level features six good size bedrooms, three bathrooms (including a spacious master bedroom with walk-in closet and master bath with separate vanities, shower and bathtub), and an office. ~The spacious Semi-Finished Basement includes a Rec room, a game and/or exercise room, laundry, and a bike and canoe storage room. The property is located on a professionally landscaped, flat, expansive 0.70 acres (30, 656 square feet) lot with a wrap-around covered porch, deck, patio, parking for six plus cars, and garden. A block from Metro and Bethesda Row, this home combines a private oasis of suburban living with convenient access to every downtown amenity. Property Information: Year Built: 1915 Year Renovated & Expanded: 2001 Lot Size: 30, 656 square feet (0.70 Acres) Interior Square Feet: 5, 359 square feet on three levels Estimated Future Taxes: $16, 559 Schools: Bethesda Elementary, Westland Middle School and BCC High School. Directions: Out Bradley Blvd, right Fairfax Road, veer left to stay on Fairfax Road, house blocks up on left.